Update 1 :(18/7/10) updated designs in some elements,and included font for the clock,you should try it.And also x64 sys file. Update 2 :(26/7/10) added running indicator for running apps on taskbar as requests of many deviants.And some small bugs are fixed too. if i forgot anyone,pls remind me. 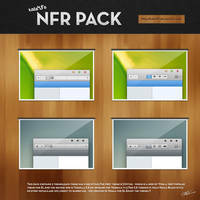 Note : You should install the font included in the pack before install the theme for the best performance. Note 2 : Some people got a warning from KIS that there's a trojan in my RAR.Actually,it's not,sometimes,KIS though that "Taskbar Drop Shadow by sweatyfish" is a trojan,so just ignore it,it'll be fine.Read comments on here : [link] some people got it too.Anw,i removed it from the RAR,but you can download it on the page below. • Color hot-track : there's no way you can get it back,so if you got any new message,there won't be a red track to tell you there's a new message.But i've added some red color to the Flash button on taskbar as a provisional solution in the 2nd update and you should download it again.And don't blame me,it seems that MS doesn't want us to change to Mac UI for their Win7 and made this limit,hope that someone would find a better solution for this. 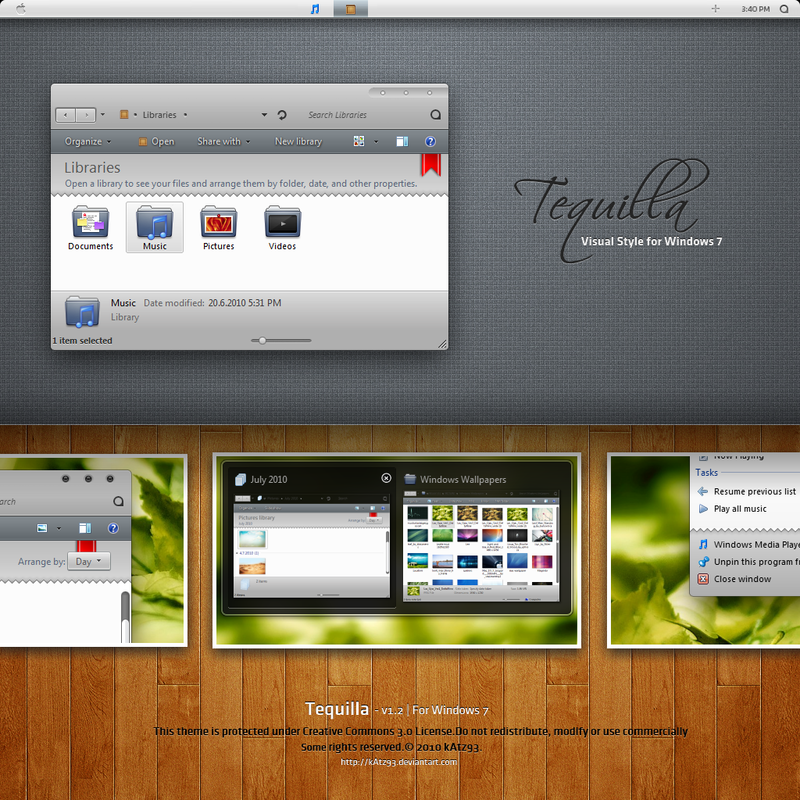 Tequilla for 7 by *kAtz93 is a mac-like VisualStyle for Windows7 with some unique and never seen before details. nope, not even on a mac. I have made a modification / adaptation of your precious subject, I would like to share it with your permission, citing you as an author, obviously. 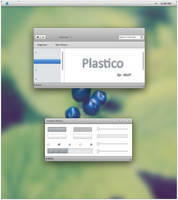 The theme would be combined with an iconpack created by me, to combine all the visual style. If you give me permission to publish your theme on my wall, I also share the iconpack, otherwise I will have to share only the iconpack. 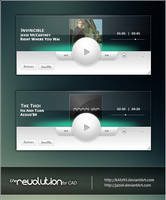 The modifications of the theme are minimal. I look forward to your prompt response. Thank you. 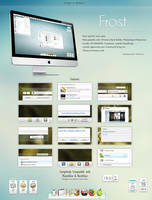 This is really a beautiful theme...I miss this before..Thanks for sharing it again. 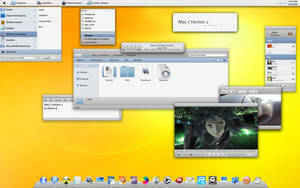 i have always liked this theme, it was one of the first windows themes i used! After all these years since it was first realesed and my first comments. This is still one of my favorite win 7 visuals. Again kAtz93 awesome job. 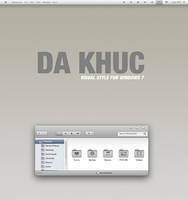 how to install fully like this ?? can somebody help me . the detail tutorial to change everything exactly like this . I love this theme. It's the very first theme that I'm completely amaze. When the taskbar is set not to combine buttons, there is a small bump above each taskbar button, is this intentional? I'd LOVE this theme to bits, if it weren't for that pesky little apple logo in the start menu. Is there any way to get rid of it? 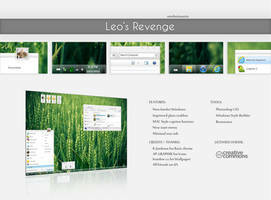 Is it true that when I successfully install this theme, my Windows 7 will say it is not Genuine even though it really is? I just need a confirmation and maybe can tell me the other consequences so I won't be too shocked. Thank you! Excellent work! I'm using, but i want transparent bar, u know how? anyone knows the link for the icons of the library? how can I install it?? 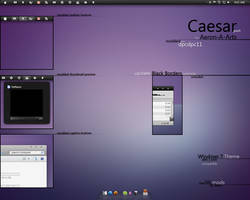 Brilliant theme, I love it to bits! I've only got two minor issues, though. 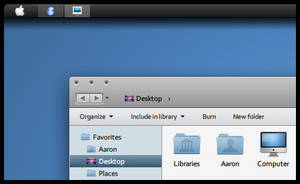 1) I'd love to get rid of the little black apple logo at the right top of the start menu. Can I remove it? And if so, how? 2) Same goes for the slider in the explorerframes. Since they don't have any purpose, I can't quite see the point of keeping them. Is there any way to remove those as well? Apart from that it's an extremely delicate theme. I'd be really grateful if you could answer my questions. Thanks a lot in advance. I've sent you a note. The wooden background behind your description in the screenshot above - where can I find one ? It has been long time that I've come across a wooden texture with perfect yellow tint - and I would like to download it as my background. 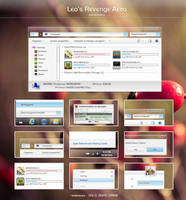 Does this theme work with Windows 7 SP1?